Depending on where your road trip is taking you there may not be too many day trip restaurants from which to choose. On the other hand you might be driving into a big city like Toronto, Chicago or Rome and there are so many restaurants you don't know where to eat or what is going to be a great meal. Is there a restaurant you would go out of your way on a day trip to eat at? Tell us about it! When we are in Toronto visiting our daughter we regularly ate at La Vecchia up at Yonge & Eglinton. It is a small Italian restaurant which has some of the best Italian food we have had outside of Italy. Maybe it is because these guys are really Italian and have a second restaurant in Tuscany. When we are in Stratford we have many restaurants to choose from but we regularly eat at Down the Street Cafe. 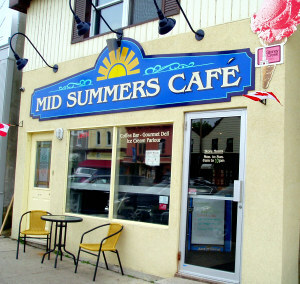 At our Cottage we eat at Armen's Cafe among other Cottage Country Restaurants. Where do you love to eat? Is it a restaurant across the country or across town? Either way we want you to share your day trip restaurant finds. 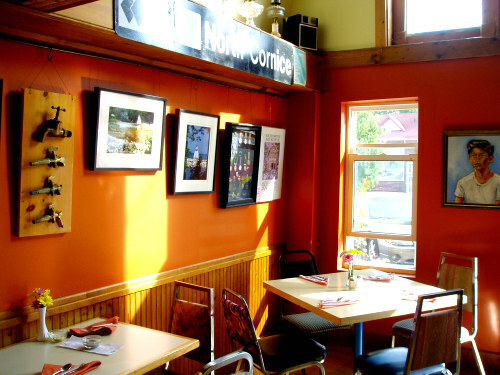 Do you know a Day Trip Restaurant we have to stop and Try? Where do you pull over and eat? Share it! Return HOME from Day Trip Restaurants.